To ask other readers questions about Dr. Mütter's Marvels, please sign up. The readers who will not love this book are those who prefer their history based on thorough research and intelligent scholarship. Here’s why. Aptowicz admits that she found Mütter a difficult subject to research. What few primary sources exist —19th-century anecdotes, panegyrics upon Mütter’s death, one speech, a medical notebook—are not numerous or objective enough to compose anything like a complete picture of the man. Aptowicz’s next step should have been to look at scholarly secondary sources that could have helped her determine what might logically fill in the gaps in her narrative. An example of such a source is Sickness and Health in America: Readings in the History and Medicine and Public Health, published by the University of Wisconsin Press, a standard university text. This step would have helped the author understand the cultural and intellectual context in which Mütter lived and worked. As a result of not consulting modern scholarship, Aptowicz attributes to Mütter attitudes and opinions that are simply not credible given his time and education. For instance, she says that Mütter “did not believe there was any biological difference between the races past the superficial,” defining race as “all the different skin colors that humans can possess” (page 248 of the advance proof). Aptowicz’s assertion ignores that fact that medical practitioners of the mid-19th century did not define race as merely variation in skin color. Educated people of Mütter’s time defined race to encompass variations in intelligence, family and community structure, “moral character,” group behavior, religious and artistic tendencies, temperament, and many other factors that we now categorize as cultural rather than biological. A video released by Mütter’s own museum explains that the white medical establishment’s understanding of African American bodies began only during the Civil War (years after Mütter’s death), when army surgeons learned to treat the diseases and wounds of black soldiers (http://muttermuseum.org/videos/broken...). Mütter’s best memorial is still his museum, not this book. 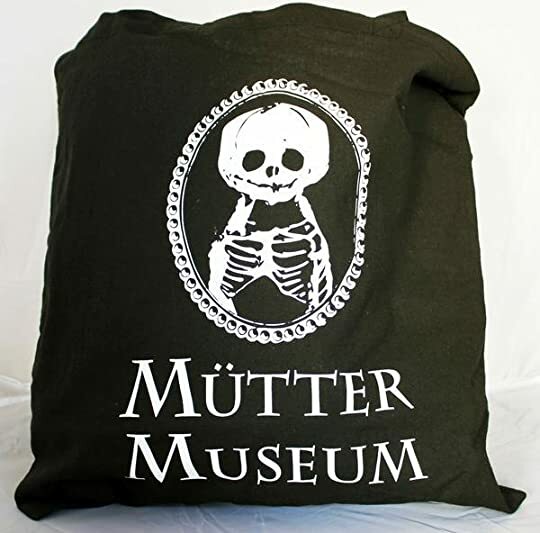 Visit the museum or its website (http://muttermuseum.org/). What a magnificent biography! This should be required reading material for anyone intersted in pursuing a career in medicine, or just intersted in history - because it's truly immersing and eye-opening. Though the novel is called "Dr. Mutters Marvels", it's not only about him - but also about the many other doctors whom he'd worked with and had been inspired by throughout his life. Mainly, however, it was about his story and his rise in fame (obviously), and how medicine and surgery progressed (and how many of those progresses were because of him!). But it's such a shame Dr. Mutter passed away so young - to think of how much more he could have accomplished had he not been sick! I have never before found it difficult to put down a biography. Aptowicz's work is sensitive, informative, and enchanting - a work of elegant prose and loving research. A beautiful book about a beautiful man who, thanks to Aptowicz, is now further protected from obscurity. I can honestly say I have never read a book quite like this one before. Fiction and fact, blended together so seamlessly that it is sometimes hard to tell them apart. To know when something was fictionalized from dramatic sake or because it really happened. Either way, this book was quite interesting. No, quite fascinating and dare I say, even fun? Once again I find myself in unfamiliar territory with this read. Something I never would have picked up on my own but truly enjoyed. I confess that I k I can honestly say I have never read a book quite like this one before. I confess that I knew nothing about Dr. Thomas Mutter but am now quite curious about his life work and all the medical advances he made throughout his career. In fact, I would love to visit Philadelphia and see the museum that was erected in his honor and all the oddities that live there. The author did a fabulous job blended the fact with the fiction and making this read not only somewhat mesmerizing, but entertaining as well. I truly had fun learning about this remarkable professor and doctor and all that he had to offer the world, some of which, is still practiced today. If you are looking for a different kind of historical read, then this is the read for you. If you have ever been to the Mutter Museum in Philadelphia, which houses one of the largest collections of medical oddities in America, it is more likely you will walk out of the museum with your head full of questions such as "Why did that woman turn into soap?" and "How did that guy walk around with a 300 pound colon?" However, you might not ask yourself, "Who collected all of this weird, freaky stuff and why?" and that's what Cristin O'Keefe Aptowicz's new book seeks to answer. Who was Thomas If you have ever been to the Mutter Museum in Philadelphia, which houses one of the largest collections of medical oddities in America, it is more likely you will walk out of the museum with your head full of questions such as "Why did that woman turn into soap?" and "How did that guy walk around with a 300 pound colon?" However, you might not ask yourself, "Who collected all of this weird, freaky stuff and why?" and that's what Cristin O'Keefe Aptowicz's new book seeks to answer. Who was Thomas Dent Mutter? Turns out he was one of the most innovative characters in early medical history who revolutionized the practice of plastic surgery, the use of ether and clean instruments during surgery and pretty much the concept of outpatient care! The author does a great job taking us back to the pre-Civil War era of medicine in Philadelphia and to the founding of the Jefferson Medical College where Mutter lectured and performed his surgeries. It's amazing how crude and primitive seems compared to the state of the medical advances we have today. I don't want to spoil too much of the book here, but I found it to be a very engaging read. If you like David McCullough or Erik Larson's books, you are going to enjoy the fascinating story of Mutter! 3.5 His parents cherished him as a young boy but he would lose his whole family to illness. Despite this, he would become a fantastic surgeon and although dying early, he would leave a lasting legacy. Wonderfully told, entertainingly written, the is a story of a man ahead of his time. He believed in cleanliness of supplies, room and person, at a time when doctors would routine pass germs from one person to the next. He would discover the use of ether as a pain reliever, at. Time when surgery was 3.5 His parents cherished him as a young boy but he would lose his whole family to illness. Despite this, he would become a fantastic surgeon and although dying early, he would leave a lasting legacy. Wonderfully told, entertainingly written, the is a story of a man ahead of his time. He believed in cleanliness of supplies, room and person, at a time when doctors would routine pass germs from one person to the next. He would discover the use of ether as a pain reliever, at. Time when surgery was performed giving the patient only wine. In fact hospitals kept use supplies of wine for just this person. He became entranced with medical oddities, wanted to fix these for people and help them have better lives. But it was the empathy he ha for his patients that impressed me the most. A look at the medical schools and doctor's training in the 1800's. Once again so glad I live now and not then, though I think a few doctors could still learn empathy from Dr. Mutter. A few years back, the hubs (then boyfriend) and I visited the Mutter Museum in Philadelphia, because I'm kind of morbid and curious like that, and it was something to do. For such a small museum, it was packed with interesting bones and tools and casts and molds, as well as the stories behind them. It was fascinating, as well as somewhat sad, to think that these were artifacts from real people who existed... and were considered "monsters" because of a fluke of biology, or an accident, or simply A few years back, the hubs (then boyfriend) and I visited the Mutter Museum in Philadelphia, because I'm kind of morbid and curious like that, and it was something to do. For such a small museum, it was packed with interesting bones and tools and casts and molds, as well as the stories behind them. It was fascinating, as well as somewhat sad, to think that these were artifacts from real people who existed... and were considered "monsters" because of a fluke of biology, or an accident, or simply a side-effect of being poor and so desperate for work that you'll work in literally toxic factories. At the time, I didn't realize that the Mutter Museum was literally the life's work and collection of a man. I suppose, had I thought about it at all, the most museums are created and endowed by individuals... but I didn't think about it until I read this book and had my "Ohhhhhh!" moment. I think that I probably would have picked up this book regardless of my previously having been to the Mutter Museum (morbid and curious, remember?) because who could pass up this cover, and this title? It's creepy and intriguing. And I'm glad that I did not pass it up, because the story told here was truly fascinating and awesome. Within this book, we are granted a glimpse into the life of a man that would help shape the course of modern medicine, a man who seemingly invented "bedside manner" - at least in the US - and one who took pride in putting the care and comfort and decision-making power in the hands of his patients, rather than assuming that their knowledge and comfort was unnecessary. This biography not only tells about Dr. Mutter himself, but also the environment that he existed within - Philadelphia in the mid-19th century was a crazy place, full of people, illnesses, accidents, and ignorance. Science had not yet discovered microbes, so we're talking about the kind of ignorance that thinks that illness is caused by "breathing bad air" or "too much blood". Medicine was often brutal, and often was riskier than just dealing with the illness itself. When you're sick with cholera from drinking from dirty river water, and shitting your guts out, the last thing that you want is some "doctor" bleeding you dry to try to draw out the illness via your blood. Seems counter-intuitive to me... but I live in a modern era, thankfully, which has benefited from a century's worth of science since then. But thankfully, in the end he was vindicated, as it was proven that failing to clean up after one's self and tools after touching or performing surgery on someone with an illness DOES actually contribute to the spread of said illness in subsequent people treated. Cray cray, I know. This "God wills it" pain argument was popular with Charles Meigs, obstetrician, who was a colleague of Dr. Mutter, and one that he bumped ideological heads with often. He (Meigs) was delightful... If you enjoy condescension and cruelty with your malpractice and closed-minded "I am a MAN, so of course I know what's best for WOMEN" misogyny. Yup. The guy who was supposed to help women with their pregnancies, deliveries, and general lady part health... was a raging boastful misogynist, who thought that eternal childbearing pain as punishment for original sin was totally valid as an argument against anesthesia for women. Bet he was just a HOOT at parties. Anywho... This book covers a lot of ground, considering that Mutter's life was actually pretty short. He died at 47, but managed to accomplish so much during that time, and help so many people, that the end of the book, where his students and colleagues and friends were memorializing him, it brought a tear to my eye. This was a man who wanted to help people who were hopeless and optionless, and he did just that. He was smart, daring, willing to try new techniques and treatments... but most importantly, he was honest and empathetic with his patients. He didn't treat them as though they were lesser beings just because they were ill or disfigured or disabled. He treated everyone with dignity and respect. I was somewhat familiar with Dr. Thomas Mütter, the famed 19th century Professor of Surgery at Jefferson Medical College in Philadelphia, whose personal collection and funding led to the creation of The Mütter Museum of The College of Physicians of Philadelphia, which is my favorite museum of medical history. However, after reading Cristin O'Keefe Aptowicz's fascinating and compulsively readable biography of Mütter I realized how little I knew about him, and how influential he was to the develop I was somewhat familiar with Dr. Thomas Mütter, the famed 19th century Professor of Surgery at Jefferson Medical College in Philadelphia, whose personal collection and funding led to the creation of The Mütter Museum of The College of Physicians of Philadelphia, which is my favorite museum of medical history. However, after reading Cristin O'Keefe Aptowicz's fascinating and compulsively readable biography of Mütter I realized how little I knew about him, and how influential he was to the development of modern surgery, the advancement of medicine as a science, and the reformation of medical education in Philadelphia and the United States. Thomas Dent Mutter (1811-1859) was born to a mother from an established Virginia family and a father who was a hard working first generation Scottish immigrant. Although the Mutters were happy and modestly successful at the time of Thom's birth the family of four was quickly struck down by illness, and by 1818 he was an orphan with no surviving close relatives. Fortune did shine on young Thomas, as he was soon adopted by Robert Wormelely Carter, a wealthy Virginia landowner who was a distant cousin of his mother. Carter supported Thomas's educational endeavors, and after he realized that medicine was his calling he graduated from the medical school at the University of Pennsylvania at the age of 20. After graduation Mutter (who changed his name to Mütter, in keeping with his flamboyant lifestyle and dress) sailed to Paris, where he learned the latest surgical techniques under the leading practitioners there, including the legendary Guillaume Dupuytren. He returned to Philadelphia, but he was unable to establish a successful practice as a general surgeon despite his clinical skill and growing reputation in the city's medical community. Mütter began teaching at the Medical Institute in Philadelphia, and soon afterward he joined the faculty at the Jefferson Medical College, Philadelphia's second medical college after the University of Pennsylvania School of Medicine. There he quickly became a revered instructor who was noted for his active engagement of his students during his lectures, along with his skill in the operating theater and the compassion he showed to his patients before and especially during surgery, at a time when anesthesia was limited to wine and other spirits. Mütter was closely linked to several advancements and innovations in 19th century surgery and medicine, including the use of a patient's own skin to form surgical grafts; the utilization of ether as an effective anesthetic agent during surgery; the adoption of antiseptic techniques to reduce the likelihood of postoperative infections and puerperal (childbed) fever; and the creation of postoperative hospital wards, where patients would be closely and compassionately cared for under his watchful eye. Sadly, Mütter suffered from ill health throughout his life, which curtailed his brilliant career as a surgeon and teacher. Fortunately he ensured his legacy with the creation of the Mütter Museum, which opened in 1863 and moved to its current location on 22nd Street between Market and Chestnut Streets in Center City Philadelphia in 1909. The museum is open to the general public seven days per week. Written in a way that draws in the reader, as with a beloved mystery, this non-fiction book compels the reader forward with brilliant use of language and creates an accessibility for the laymen that isn't in any way "dumbed-down". While having been fascinated by the Mutter Museum and its treasures, I had no idea how many contributions Thomas Mutter made to modern medicine, including the most basic hygiene in an era where germs had yet to be discovered and contagions were consi Most excellent book! While having been fascinated by the Mutter Museum and its treasures, I had no idea how many contributions Thomas Mutter made to modern medicine, including the most basic hygiene in an era where germs had yet to be discovered and contagions were considered superstition; pre- and post-operative patient care (including recovery rooms! ); and an empathetic approach to dealing with patients as humans with lives rather than simply cases to be logged. This should be a mandatory reading for anyone in medical profession. Wonderful story of a man whose determination and talent created and transformed field of surgery and medicine. Now I want to go to Philadelphia to see his museum. WOW!!! This is one of the most amazing books I have ever read. Cristin's writing style is unsurpassed. Filled with stories and facts that can easily boggle the mind, Cristin lays it out so fluidly and effortlessly. Easily followed and understood, the reader is captivated by each and every page that follows the life of Dr. Mutter and those around him. Definitely a book that deserves to be on everyone's shelf! This was an enjoyable read. Mutter's career saw many big changes in medical theory and practice, and the author celebrates his role in championing plastic surgery for the deformed and burn victims, the use of anesthesia, germ theory, and the importance cleanliness; the author also argues that his compassion and insistence that patients be treated with dignity and decency were perhaps his greatest legacy, for many of his students went on to great things. Today he is best remembered for the surgic This was an enjoyable read. Mutter's career saw many big changes in medical theory and practice, and the author celebrates his role in championing plastic surgery for the deformed and burn victims, the use of anesthesia, germ theory, and the importance cleanliness; the author also argues that his compassion and insistence that patients be treated with dignity and decency were perhaps his greatest legacy, for many of his students went on to great things. Today he is best remembered for the surgical technique that bears his name (using a flap of skin to repair or replace damaged tissue) and for Philadelphia's famous Mutter Museum, which houses a massive collection of medical specimens and oddities. Because of his pioneering work in plastic/restorative surgery, and perhaps because of the museum, the book does include a number of illustrations and descriptions that make this something you won't want to read while eating. This is probably to be expected in any book about 19th century medicine, though. A highly readable biography of the seemingly kindest doctor I've ever heard about. This is also a great overview of innovation in early American medicine. If you can't handle descriptions of surgeries, then I wouldn't recommend this. I found them harrowing at times, but appropriate and helpful in understanding what early medicine looked like. I wanted to visit the Mutter Museum before, but I want to see it even more now! Disclaimer: I received a free ARC of this book in a Goodreads giveaway. This is very good narrative non-fiction. Before my copy arrived, I read a couple of the negative reviews posted on Goodreads, and I was concerned. However, now that I have read Aptowicz's book, I find I disagree with most of what these negative reviews say. I really enjoy narrative non-fiction done right. But that is what this is: narrative. If you want only historical facts presented textbook-style (which I also enjoy, by the way), then you might not like this book. But if you enjoyed books such as Larson's The Devil In The White City or Johnson's The Ghost Map, then Dr. Mutter's Marvels is probably a good choice. This book tells the story of a remarkable genius who is not well known outside of Philadelphia and/or the medical community. Thomas Dent Mütter was fabulous, flamboyant, controversial, and way ahead of his time in the field of plastic surgery -- and also in progressive ideas such as cleanliness, treating patients with respect, and using ether to make surgeries easier for both patients and doctors. I was pleased with the amount of notes available for me to check the research, as I am always suspicious of authors' claims when notes and references are not included. Those who wish to check facts or read more will find that Aptowicz has included plentiful resources. As I had an ARC, the fact that the index was not yet in the book disappointed me, but I'm quite sure that the "real" book will not have that problem. So why did I give this four stars instead of five? Well, the author does jump around quite a bit, taking several sections of this chronological narrative out of order in a way that can be rather confusing. She's also a bit inconsistent with her treatment of other doctors/medical researchers at the time. Some of them get plenty of coverage, but others are not even named when she discusses the effects of their discoveries on Mütter and his work. She also praises the medical community in Paris at the time but ignores the tremendous influence of the medical world in Edinburgh -- including the Museum of the Royal College of Surgeons in Edinburgh, which had been in existence for over 100 years before Mütter got his "original" idea of creating a similar museum. I have a hard time believing that Mütter would have heard NOTHING of the medical advancements in Scotland when he was supposedly so very influenced by Europeans and the community in Paris. Surely the Europeans would have been discussing the hot topics of the day from the medical communities in other large cities! But this is ignored in the book, except for one brief mention of Edinburgh. Thus, I wonder about the thoroughness of some parts of the research, however much I enjoyed -- and I DID enjoy -- the research which is included. Exhaustively researched and fifteen years in the making, Cristin Aptowicz’s biography of Dr. Thomas Dent Muller, 1840s and 1850s Philadelphia surgeon and teacher, is much more than a narrow biography. Aptowicz paints detailed portraits of Philadelphia society, of the early state of American medical training, and of the conditions of Western medicine before the Civil War. Mutter began his surgical career before anesthesia, before the infectious causes of disease were even guessed at, and when 20% Exhaustively researched and fifteen years in the making, Cristin Aptowicz’s biography of Dr. Thomas Dent Muller, 1840s and 1850s Philadelphia surgeon and teacher, is much more than a narrow biography. Aptowicz paints detailed portraits of Philadelphia society, of the early state of American medical training, and of the conditions of Western medicine before the Civil War. Mutter began his surgical career before anesthesia, before the infectious causes of disease were even guessed at, and when 20% of American children died before their first birthday. From his training, continuing study, and lively intellect Mutter initiated both surgical and teaching techniques that put him at the forefront of American – even European – medicine. Tragically, the ravages of then-untreatable diseases took Muller at the age of forty-seven. In Aptowicz’s hands Mutter’s desires and demons are both forceful and clear, and the changes he introduced to medicine and medical teaching are understood as the groundbreaking moves they were at the time. At least one surgical procedure named for him is still in use. The writing is smooth and appealing and the characters and society are deftly and clearly rendered. We learn as much about mid-nineteenth century Philadelphia and America as we do about Mutter and his colleagues. Aptowicz’s years of research and effort to bring Mutter’s story to life are rewarded by the fluidity and rich content of Dr. Mutter’s Marvels. It’s a story to be read and a life to be celebrated. Extremely interesting story of a man not many have probably heard of. Dr. Mutter practiced medicine, or practiced what was called 'medicine' in his time, during the mid to late 1800s. This was a time when cleanliness apparently was not considered close to godliness, doctors saw no reason in washing their hands between treating patients, or cleaning their instruments between surgeries, which not surprisingly, caused a lot of pain and death of patients rather than healing them. Dr Mutter was one o Extremely interesting story of a man not many have probably heard of. Dr. Mutter practiced medicine, or practiced what was called 'medicine' in his time, during the mid to late 1800s. This was a time when cleanliness apparently was not considered close to godliness, doctors saw no reason in washing their hands between treating patients, or cleaning their instruments between surgeries, which not surprisingly, caused a lot of pain and death of patients rather than healing them. Dr Mutter was one of the first to proclaim the merits of cleanliness and anesthesia, which at this time was not used. He became most famous for his work in plastic surgery for people with facial deformities, cleft palates, and especially burns, in which he created the 'Mutter flap' which is still used in burn surgery today. Very interesting look at the times and the ways doctors worked. I was reminded of Taylor Caldwell's Testimony of Two Men which is about a young doctor in the 1800s trying to get doctors to wash hands and their instruments. She has said the story was based on a real doctor who she would not name, but someone her father, a doctor in the Philadelphia area which is where Dr Mutter practiced, knew. I've said it before and I'll say it again - thank goodness for modern medicine! I visited Dr. Mutter's museum in Philadelphia years ago and would love to revisit it now that I know more about his life, contributions, and philosophies. I got this book thru the Early Review program on LibraryThing and Gotham Books. It is generally the biography of 19th Century plastic surgeon Dr. Thomas Mutter, but it is also a history of the dawn of modern medical schools in Philadelphia. I had never really heard of Dr. Mutter, except for the museum that bears his name. (A very eclectic medical collection that I would like one day to visit). The book documents his quick rise at the Jefferson Medical College as both a professor and wunderkind of I got this book thru the Early Review program on LibraryThing and Gotham Books. It is generally the biography of 19th Century plastic surgeon Dr. Thomas Mutter, but it is also a history of the dawn of modern medical schools in Philadelphia. I had never really heard of Dr. Mutter, except for the museum that bears his name. (A very eclectic medical collection that I would like one day to visit). The book documents his quick rise at the Jefferson Medical College as both a professor and wunderkind of surgery. He pioneered techniques that still hold his name today, was a early advocate of ether and nitrous oxide in surgery (around the mid 1840s). It was amazing both the resistance that the medical community had to anesthesia and the surgeries that they were able to accomplish WITHOUT it. The story is also about those around him, including Charles Meigs (one of the most famous obstetricians at the time), who was one of Mutter's main foes against the use of anesthesia, as well as how life in the 19th century affected how medicine was taught and practiced. Disease, overcrowding in the cities and working conditions being chief among them. No spoilers here, cause its on the back of the book, but Mutter died very young at 48 (ironically, for me, I just turned 48 this week) due to chronic ill health. He was just hitting his stride and I wonder what more he could have accomplished if he had lived. I think its telling that a lot of the "characters" in the book have wikipedia pages, but Mutter does not. Except for the museum, he doesn't seem to be well known in modern times. This book might help remedy this for some. A fascinating book about a fascinating man. (As Mutter began to recognize his mortality...) "Before, Mutter had felt it was his role to lead by example, to show his students the heights they should strive to reach, even though their own talents and abilities would likely never match his own. But now, Mutter realized his task was to create doctors who could replace him." In the early 1800’s, anesthesia had not yet been developed for medical use. The use of leeches for bleeding was common practice and the spread of bacteria was so misunderstood that post-operative infection was seen as a sign of healing. While some doctors felt content in practicing medicine as it had been practiced for years, by the mid-1800’s, others began to seek progress. In Dr. Mütter’s Marvels, Cristin O’Keefe Aptowicz follows the unlikely man from a sickly childhood to his time as a popular In the early 1800’s, anesthesia had not yet been developed for medical use. The use of leeches for bleeding was common practice and the spread of bacteria was so misunderstood that post-operative infection was seen as a sign of healing. While some doctors felt content in practicing medicine as it had been practiced for years, by the mid-1800’s, others began to seek progress. 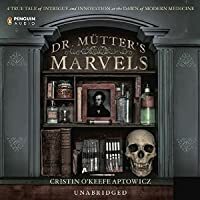 In Dr. Mütter’s Marvels, Cristin O’Keefe Aptowicz follows the unlikely man from a sickly childhood to his time as a popular surgeon and teacher at Jefferson Medical College. Well ahead of his colleagues, Dr. Mütter insisted on taking time to focus on both pre and post-operative care, stressing the importance of consulting with his patients. At a time when every cut made by a surgeon would be felt, Dr. Mütter believed it was important to completely outline every procedure for his patients, many of whom suffered from disfiguring abnormalities. But Dr. Mütter’s foresight didn’t end there—he was leaps and bounds ahead of his colleagues in preventing the spread of disease, the early use of ether and even the concept of diversity. Aptowicz paints an absolutely fascinating portrait of a man who should be remembered for much more than the medical collections he left behind. Buy this book now. If you have any interest in science, medicine, oddities, or general woo and weirdness you will love this book. Thos. Mutter has been quietly hailed by medical types for years as a forward thinking and flamboyant early practitioner. Born in 1811 when there was little difference between medicine and manning the butcher shop Mutter got his license and then sailed to France to watch the best for a year. He returned to Pennsylvania with an umlaut in his surname and a swagger in his Buy this book now. If you have any interest in science, medicine, oddities, or general woo and weirdness you will love this book. Thos. Mutter has been quietly hailed by medical types for years as a forward thinking and flamboyant early practitioner. Born in 1811 when there was little difference between medicine and manning the butcher shop Mutter got his license and then sailed to France to watch the best for a year. He returned to Pennsylvania with an umlaut in his surname and a swagger in his step. He was both reviled and revered. Considered eccentric he left he put many colleagues at odds with insistence on innovation and leaning from live subjects or cadavers. He was one of the first to imagine surgery as something more than a last chance before death and his work correcting congenital deformities has earned him a place as a father of plastic surgery. He amassed a unique collection in his efforts to understand the human body. His collection is the basis of the Mutter Museum in Philadelphia and his work with deformities was seminal in a more modern view of medicine and humanity. The book is well written and reads easily. There are interesting pictures throughout. Dr. Mutter’s Marvels It is the best kind of historical biography that weaves history, personality, science, and culture into one seamless narrative. There is creative license here that will bother purists. The author, in an effort to make the plot more vibrant I assume, ascribes experiences and thoughts to Mutter that we cannot know if. If read as a boisterous and broad overview of the man and his times it is nothing but fun but this is no academic treatise on medical history. I don’t give many five star reviews but this one earns it hands down. A lot of people, especially ones with a bit of a macabre turn of mind, have heard of Philadelphia’s Mutter Museum. It’s a medical museum, filled with skeletons, body parts in jars, and engravings of surgeries. But collection was not meant to be some sensationalist tourist stop; Mutter’s collection was for teaching medical students by showing them what diseases looked like in the body so they could recognize it. He felt it was vital that specimens like these be available. Dr. Thomas Dent Mutter w A lot of people, especially ones with a bit of a macabre turn of mind, have heard of Philadelphia’s Mutter Museum. It’s a medical museum, filled with skeletons, body parts in jars, and engravings of surgeries. But collection was not meant to be some sensationalist tourist stop; Mutter’s collection was for teaching medical students by showing them what diseases looked like in the body so they could recognize it. He felt it was vital that specimens like these be available. Dr. Thomas Dent Mutter was an amazing man. He became a doctor while young (there wasn’t as much schooling required in that era to become a doctor), studying in France where surgical techniques were far advanced from those in the US. He not only became a remarkable surgeon- he was ambidextrous- but he brought to America the practice of actually washing his hands and tools in between patients and was an early adopter of the use of anesthesia for operations. He performed a lot of reconstructive surgeries on victims of fires and accidents. He convinced the medical college to purchase some rooms that could be used for patient recovery- previously patients were put out in a cart and taken home as soon as the surgery was over. He thought of patients as actual people instead of just the operation performed on them. He instituted a lot of things we take for granted in hospitals today. Sadly, he died young. The author has consulted many primary sources for this biography. Descriptions of the surgeries Mutter performed are taken from his own writings. It’s not just a biography of Mutter, but in many ways a biography of surgical practices in America. Very interesting and a fast read. Let me start off by saying that I received this book as an ARC Goodreads Giveaway. Aptowicz's biography proved to be a delightful read. In Dr. 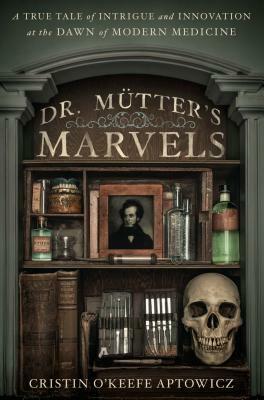 Mutter's Marvels she examines the life of Thomas Dent Mutter, a brilliant plastic surgeon in 1800's Philadelphia. Besides innovating the Mutter flap that would be used for over a hundred years after his death he also was among the first to successfully use anesthesia during surgery. Most importantly for his patients he understood the concept of cleanliness Let me start off by saying that I received this book as an ARC Goodreads Giveaway. Aptowicz's biography proved to be a delightful read. In Dr. Mutter's Marvels she examines the life of Thomas Dent Mutter, a brilliant plastic surgeon in 1800's Philadelphia. Besides innovating the Mutter flap that would be used for over a hundred years after his death he also was among the first to successfully use anesthesia during surgery. Most importantly for his patients he understood the concept of cleanliness and practiced sterilization protocols long before Koch postulated his germ theory. It is evident that Aptowicz did an abundance of research for this book. In some portions it reads more as a biography of Jefferson Medical College's Faculty of '41, including such prominent doctors as Dr. Joseph Pancoast, Dr. Charles Meigs, and Dr. John Kearsley Mitchell. But sometimes in order to put someone's life into perspective you need to see them in the light of both their friends and adversaries. his is, hands-down, the best biography I’ve ever read. It’s an intimate glance into history, medicine, change, and compassion. It’s the finely crafted life story of a man that we should know, but sadly, many of us don’t. But that’s about to change, thanks to the hard work of writer, researcher, and poet Cristin O’Keefe Aptowicz in her new book, Dr. Mütter’s Marvels. We interviewed Aptowicz to find out the backstory - read more about her research and writing here: http://www.wanderingeducators.com his is, hands-down, the best biography I’ve ever read. It’s an intimate glance into history, medicine, change, and compassion. It’s the finely crafted life story of a man that we should know, but sadly, many of us don’t. But that’s about to change, thanks to the hard work of writer, researcher, and poet Cristin O’Keefe Aptowicz in her new book, Dr. Mütter’s Marvels. 5 SEP 2014 - spied on Melki's update. I understand that this book may have been written with some embellished fiction, but I really enjoyed it. It was a very interesting read and I found the history of "modern medicine" in that day fascinating. This is not normally a book I would read, but I'm very glad I did. If you want to be a doctor, read his book. If you are interested in medicine, read this book. If you prefer nonfiction, read this book. It’s interesting and there were several sections that were really interesting and there were some that I just zoned out on. But overall, I’m not disappointed. I learned a number of things, and I am really thankful this guy existed because he changed a number of things in medicine that have helped advance medicine today. Woody swear scale-there’s none. Totally sa If you want to be a doctor, read his book. If you are interested in medicine, read this book. If you prefer nonfiction, read this book. It’s interesting and there were several sections that were really interesting and there were some that I just zoned out on. But overall, I’m not disappointed. I learned a number of things, and I am really thankful this guy existed because he changed a number of things in medicine that have helped advance medicine today. Finally finished this book! It was interesting, but this reminds me why I rarely read non-fiction... it bores me! In the end, I have to say I enjoyed reading about Dr. Mütter. Cristin O’Keefe Aptowicz is an American poet who was recently awarded a 2011 National Endowment for the Arts Fellowship in Poetry. She is the author of five books of poetry, including the recently released Everything is Everthing (Write Bloody Publishing), as well as the canonical slam history, Words in Your Face (Soft Skull Press), which U.S. Poet Laureate Billy Collins wrote “leaves no doubt that Cristin O’Keefe Aptowicz is an American poet who was recently awarded a 2011 National Endowment for the Arts Fellowship in Poetry. Founder of the three-time National Poetry Slam Championship venue, NYC-Urbana, Cristin has toured widely with her poetry, at venues as diverse as NYC’s Joe’s Pub, LA’s Largo Theatre and Australia’s Sydney Opera House. Cristin’s poetry books are published on Write Bloody Press, and available at all online & brick-and-order bookstores. “There is scarcely a quality which so much dignifies human nature as consistency of conduct -- and no weakness more deplorable than that of instability. Examine, choose, compare, reject, but having once made your selection of profession, stand by your decision. Difficulties, and privations, and hardships, must be encountered; but determination will overcome them all. And not only sloth and folly, but even genius will be outdone by perseverance.